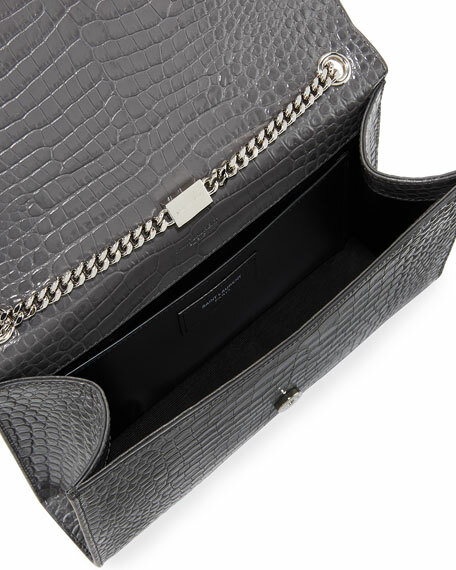 Saint Laurent crocodile-embossed leather shoulder bag. Chain shoulder strap pulls through top, 19" drop. 5.7"H x 9.4"W x 2.1"D.
"Kate Monogram" is made in Italy. For in-store inquiries, use sku #2398027.